IceBucket, one word and you know what I mean. Big names, small names, almost all of us know someone who has done it or been nominated. Maybe you yourself just completed the challenge, plan to do it soon or are waiting eagerly to be called on. Either way, today’s blog is worth a read. If you’re still not familiar with what’s going on then let me explain. 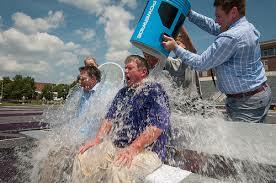 The internet is buzzing with the word ALS, and the hashtag #icebucketchallenge is popping up everywhere. If you get nominated to do this challenge you have two choices: either get a bucket of ice water dumped on your head or donate $100 (more if you wish) to the ALS fund. ALS is a motor neuron disease that affects your ability to control your muscles and eventually leaves you paralyzed. The most famous individual with this disease is most likely Stephen Hawking, a genius who explored and explained the existence of black holes in the universe. If you ask whether the challenge has been successful you might receive two responses: yes and no. Those who answer YES will tell you that the challenge has increased awareness and helped donate $31.5 million to the fund. Those who say NO sight the psychological phenomenon (moral licensing) which explains why after donating money to one charity individuals are less likely to donate to another. Also, they say that while the challenge looks fun, it really wastes a lot of water! One image that usually accompanies this can be found above. The fact of the matter is, without accurately calculating the amount of water used by each individual in this challenge, we are not able to give the exact amount of water wasted. Yet, one person on reddit.com estimates that it’s about 15 million liters of water. 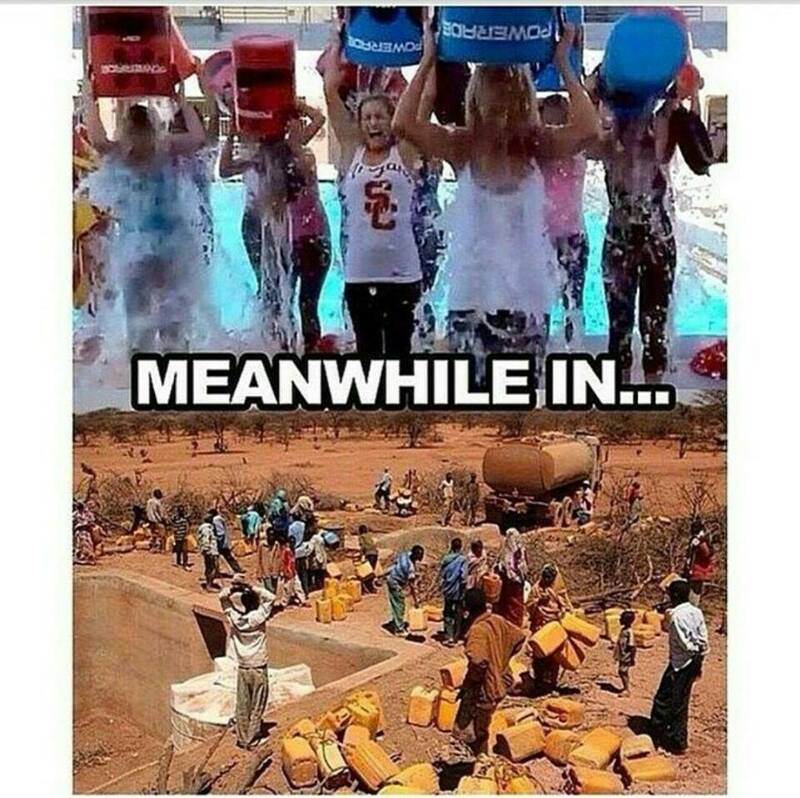 My point is, whether you consider a bucket of ice water dumped on someone’s head as a waste or not, the truth of the matter is that we use water on a daily basis. Whether washing our teeth, taking a shower, eating breakfast, or even wearing clothes, we need water. Heck, even our bodies are made of 70% water! So, water is technically us, and wasting it means wasting a part of us. Since you can’t manage what you can’t measure, then I suggest you download this awesome new app that allows you to calculate how much water you use on a daily basis. The idea is brilliant and completely innovative! 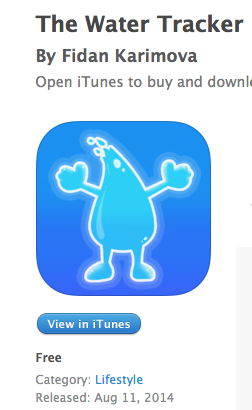 There are no other apps on the market that let you calculate your daily water footprint! And since only 1% (or less) of fresh drinking water is available for our consumption, maybe this precious resource should be left alone? What do you think? Posted on August 20, 2014 by saynotofoodwastePosted in BlogTagged als, drought, icewaterbucketchallenge, save, sustainable, water.